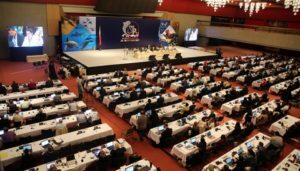 Manila, 28 October 2017 – For the past week in Manila, the Philippines, the Federation of Associations for Hunting and Conservation of the EU (FACE) and the British Association for Shooting and Conservation (BASC) jointly contributed to many intense and high-level debates dealing with lead ammunition, illegal killing of birds and new listing proposals for species during the 12th Conference of Parties to the CMS. At the beginning of the week, working groups discussed resolutions, decisions and listing proposals in advance of voting by the Governments that are parties to the Convention. Dr David Scallan, FACE Senior Conservation Manager, and Dr Matt Ellis, BASC Scientific Advisor and Chair of the FACE Ammunition Working Group, participated in the Avian Working Group meetings, which dealt with the risk of poisoning to migratory birds from lead ammunition and combatting the illegal killing of birds. During the meeting, both FACE and BASC vigorously urged CMS Parties and observers to ensure a science-based and proportionate approach to managing the risk of poisoning to migratory birds from lead ammunition. Both organisations also asked CMS to continue regularly consulting key stakeholders, including government agencies, relevant industries and hunting and fishing organisations with regard to the risks associated. The Governments voted to support the formation of a new Lead Task Group under the existing CMS Preventing Poisoning Working Group. This is a way to focus on knowledge and information sharing, including communication, education and public awareness raising with regard to minimising the poisoning of migratory birds from anthropogenic sources of lead, prioritising ammunition and fishing weights. FACE will be actively involved in this Task Group going forward. On the illegal killing of birds, FACE welcomed the ongoing practical responses by several Parties and Signatories to CMS instruments in advancing work on the illegal killing, taking and trade of migratory birds, in particular, the recent enhanced Task Force in the Mediterranean region. 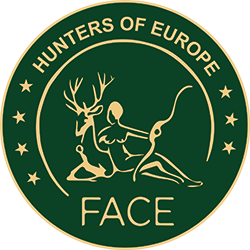 FACE will continue to actively support such processes to demonstrate and promote the active role of Europe’s seven million European hunters in combatting the illegal killing of birds. FACE’s Wildlife Policy Officer, Roderick Enzerink, together with FACE associate members Safari Club International and Safari Club International Foundation, attended the Terrestrial Mammals Working Group. The most important and most contentious issue was the listing proposals for Lion, Giraffe and Leopard. FACE vehemently objected to these proposals, on the grounds that these are not migratory species in line with the text of the Convention and would be unlikely to benefit from CMS listing. FACE also believes that the Convention’s limited resources should be prioritised on more pressing conservation problems. During the discussions, South Africa, Zimbabwe, Uganda and Tanzania rejected the listing of these species. For Appendix II listing under CMS, the migratory status should be defined based on the characteristics of cyclical and predictable movements of a significant proportion of the population, across one or more national borders. These countries opposed the listings as the proposals failed to effectively demonstrate these criteria as well as highlighting that they are not in unfavourable conservation status in all regions of Africa, which is another criterion. It was highlighted that certain species are even increasing in some regions, in particular, when hunting and well-managed sustainable use are in place (e.g. for Lion and Giraffe), while other regions have seen major declines. With regard to the need for transboundary cooperation, the point was clearly made that the local, regional and/or national threats (e.g. habitat degradation, decline of prey) should be addressed on the appropriate scale, and that certain transfrontier conservation areas already exist to accommodate international cooperation. For the first time in CMS history (! ), listing proposals were not adopted by consensus by Governments. During the discussions, it became clear that consultation with range states was lacking and that a much more comprehensive assessment by the CMS Scientific Council was needed. FACE stressed its full commitment to cooperate further in such discussions.